only 23 photographed as I've already misplaced one! typical! I'd been eyeing the nail art pens you can buy in bulk on ebay for a while after seeing Charlene and Laura post about them. Something about 24 of the for £7-10 (depending on if you buy in the UK or not!) didn't seem right. At the end of the day it was I paid a tenner for them as I didnt want to wait for shipping. I bought them from this seller based in the UK, but I have seen them for as cheap as around £7 from foreign sellers. You can also get larger bundles of 60 if you really wanted to go all out. Honestly, I think they are OK. 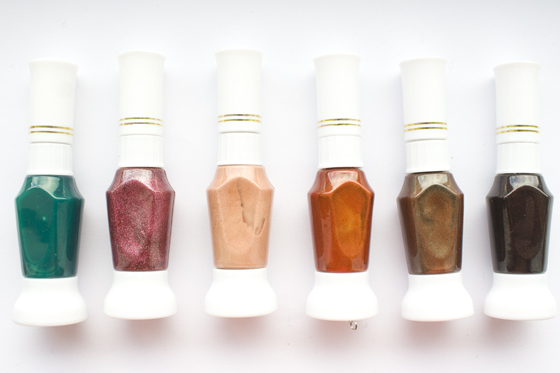 The opaque colours all work really well as they are very pigmented, some of the shimmery and pearlesent ones dont really work as well for nail art as they are a bit too thin to just do one coat, but are certainly usable. I bought these purely because I just wanted to have the colours incase I needed them for various nail art tutorials, I dont want to go out and buy a yellow purely to do some dots on strawberry nails or I need a dark brown just to do some dots for leopard print. Compared to the Models own x WAH nails pen, they are pretty similar, Both do the same sort of job and have the same amount of drying time. I wouldn't expect the world considering the price is very low for what it is, Id definitely recommend getting them if your just getting into nail art and want something that does the job without having to spend loads of money. Basically they are just cheap and cheerful, great for beginners and easy to use. For the price its worth it coming in at about 40p per nail art pen, compared to the £6 for the Models Own pen. Wow that's an amazing price for these! May have to get some soooon! Amazing price and lovely colours, might have to get some. 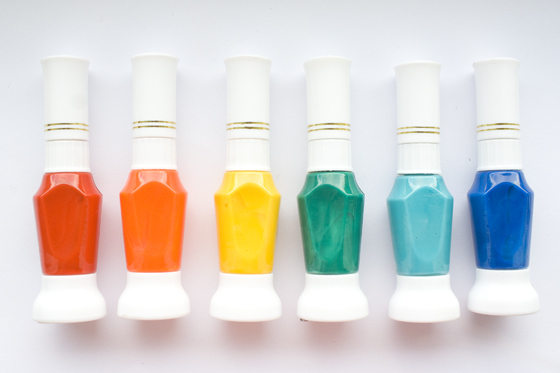 I have these, they are perfect for nail art, I usually do the design over a drugstore polish. - I find them super hard to get off, I have to vigorously rub my nails & it eventually comes off. For the price it is well worth it. I was bought a similar collection a few years ago. 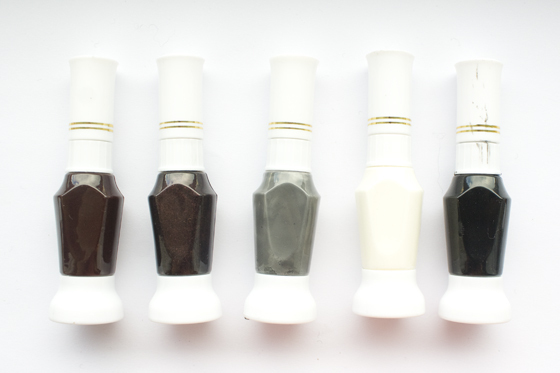 Personally, I think you only really need a black and a white nail art pen for most designs. I've barely used any of the other colours. 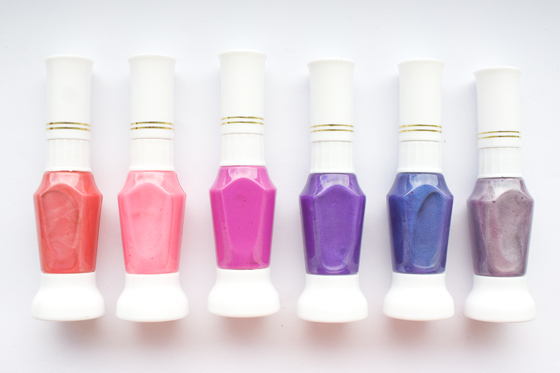 As you said the lighter shades don't work so well so I tend to stick to using a very small paintbrush that I can just dip into bottles of nail polish. i bought a black one online, and it was rubbish. really watery and not good at all. pretty unimpressed. I too have been searching for these but from a UK seller but had no look ! So cute these nail pens are!